You always want to make a great first impression and that’s no different when someone is visiting your home. The best way to “wow” guests is with a new entry door. Feldco entry doors are made of fiberglass and steel so they offer more than stunning good looks. They’re energy efficient, customizable, durable and low maintenance. They’re the best option for homeowners in Madison. Fiberglass doors are a very common option for Madison residents. They offer the same look and feel as wood doors without the headache of maintenance, warping and rotting. Plus, fiberglass is much more affordable than its wood counterpart. Feldco fiberglass doors are made specifically to deal with Madison weather, including protecting your home from outside drafts. They’re foam filled to keep drafts out and trap heated and cooled air inside. There are two major benefits to having a foam insulated fiberglass door. The first is that your home will remain a comfortable temperature no matter how hot or cold it is outside. This is because the heated and cooled air producted by your furnace and air conditioner is trapped inside. 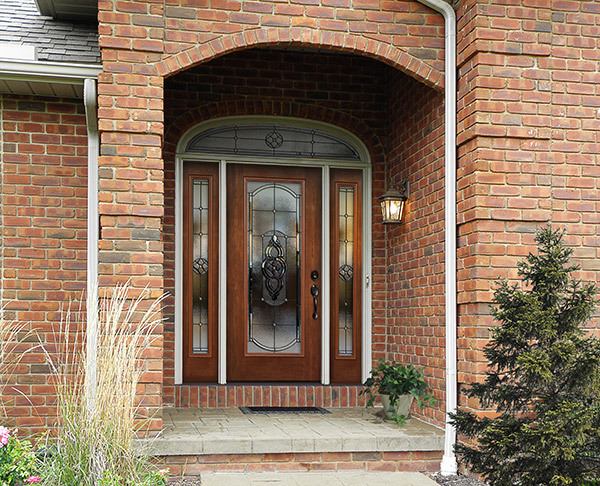 More importantly, you’ll save money on your energy bills thanks to your fiberglass entry door. Since drafts can’t get in, your furnace and air conditioner won’t have to work as hard to reach your desired temperature. In other words, they’re using less power which will lower your heating and cooling bills. Fiberglass doors offer many different customization options that you can’t get with other styles. We offer many different colors to choose from, including wood grain finishes. That means you’ll get the look of real wood without the hassle of maintenance. There are also many different window insert and panel style options from which to choose. You can even get sidelights and transoms to improve your home’s curb appeal and allow more natural light inside. Another common door material is steel. Much like fiberglass doors, steel door don’t have maintenance problems that you have to face with wood. With more benefits and a more affordable price than wood, it’s no wonder why steel entry doors are so popular. Steel entry doors are known for their durability and protection. They’re resistant to denting, cracking and being kicked-in. You know that you and your family are safe and sound with a steel entry door. Also, steel doors are made to resist weather as well. They won’t warp, rot, expand or contrast due to absorbing moisture like you’d see with wood doors. They also won’t wear down from heavy traffic, rain, snow, or hail. One of the biggest problems with wood doors is that they need your constant attention. If they’re not warping or rotting, they’re in need of painting or restaining. This isn’t a problem you have to deal with when you get steel entry doors. Your entry door’s installation plays a major role in how effectively it function and how it looks. Feldco has been installing entry doors for over 40 years. The installers are factory trained and certified to make the entire process go smoothly. 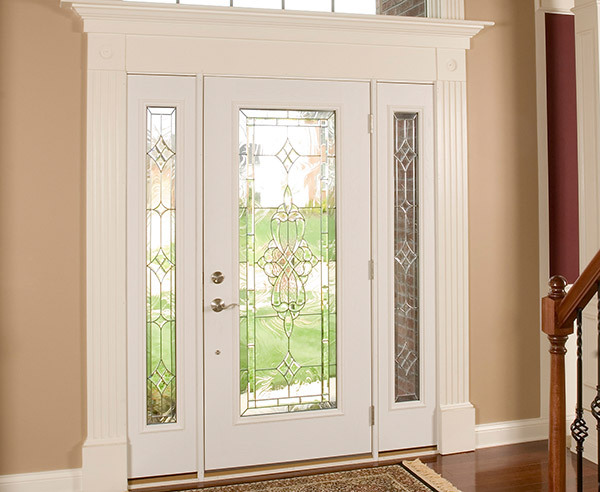 Get a free quote now – it has never been easier to replace your entry doors in Madison.